The last couple of years have seen an explosion of talented MCs emerging from Britain's Christian hip-hop underground with acts like Jahaziel, Victizzle and Tunday winning awards while demonstrating they are at the cutting edge of communicating spiritual faith. Now 19 year old, London-based rapper Faith Child has burst through on the UK scene and his debut album 'Illumination' is currently clocking up significant sales. He spoke to Cross Rhythms broadcaster and journalist Mike Rimmer about his life, his faith and his music and began by explaining what inspires his album. "The theme with 'Illumination' is like us being examples of Christians in this world. And I wanted to make music that had a Christian message which was applicable for all listeners. So whether you are a Christian or a non-Christian, the song doesn't alienate you, but it can invite you into my world and show you an alternative to life's problems by living in faith." Unlike some of the stylised gangsta rap outpouring there's much in 'Illumination' which is both innovative and accessible. Faith Child, otherwise known as Michael Ayo, comments, "What I wanted to do was go for a very nice, wide, radio friendly sound and execute it that well that it would get on Cross Rhythms, and get into the car radios, and something that would be tangible to the ears, and tangible to the soul." Faith Child's testimony goes back even before he was born. It so happened that when Michael's mother found out she was pregnant, her first feelings were that she should abort him. However, she heard God tell her, in an audible voice, "Do not abort him, this is my child". Her faith renewed, she gave birth to a baby boy and raised him with a strong Christian influence on his life. Being brought up in the church meant Michael was always around music and this, along with a push from his family, led him to rap for Christ. He told Gospel Link magazine, ''I have older siblings who constantly encouraged me to rap, while actually being very blessed musically themselves. My church is a youth ministry and we like to attract youth by using media that we know will grab their attention and will intrigue them." Michael was getting involved with Christian music - rapping and playing drums - and he feels one experience in particular was God's way of showing him what he was born to do. He recalls, "I was in this group Godz Inheritorz. I realised I can't rely on nobody else but God. There were originally four members in the group, and this got cut down to myself and another individual. One evening this individual failed to turn up to the performance! I contemplated cancelling the performance because I was so scared. I prayed and God gave me the strength and the confidence to do the performance and it was then that I realised that I can't rely on anyone but God to do his work." The idea of London rappers appearing on each other's records isn't uncommon in the mainstream and Faith Child says "collabos" are equally important to the Christian scene. "There's great unity in the London area. It's just a case of saying 'Hey dude, this is me, this is you, this is the idea, let's run, let's work'. And that's how I work." 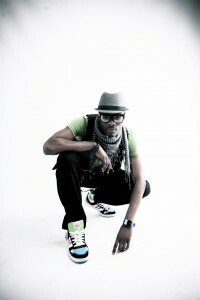 So as a rapper on the London Christian scene, Faith Child found himself featured on a number of successful artists' work. After appearing on G Force's album 'Destroy And Rebuild', a 2007 MOBO winner, he was one of the participants on "Bibles Bibles" by Simply Andy, one of the first Christian music videos to be a hit on channel U. In 2008 Faith Child released the single "I Like It" and now, after 10 years in the music business, a first solo album, released through Awake Records, is finally on the shelves. 'Illumination' has been very well received, becoming the fastest selling UK debut album on UKGshop.com and is full of cool, catchy hip-hop with a clear, though not too in-your-face Christian message. So, what took Faith Child so long to cut his first album? "I think it was finding the right time and finding the right sound, and perfecting it. I'm a perfectionist you see. If I don't hear on the song what I hear in my head then we're not leaving the studio. That kind of thing. So I made sure it was all how I wanted, to the standard I wanted." The sleeve pic on his album is striking, with Faith Child pictured in the dark with light emanating from his back. He explains, "That dark room represents the world, and the light coming out off the back represents the light coming out of me, which is Jesus Christ." He continues, 'I believe that as Christians we should be the light of the world. For some people, we as Christians may be the only Bible they see. The light that we have should be bright for all to see - hence the title 'Illumination'." Each song in the collection touches on a part of Faith Child's life and Christian beliefs and a particular favourite is the album opener, "Flashback". "It is basically about my testimony from before my birth when my mum wanted to abort me to now. It tells the listener about how God has brought me to this stage in my life." A member of the RCCG De-Vine Sanctuary in Croydon, Michael not only involves himself with his rap music, but he is undertaking a performing arts degree and is part of the performing arts group Tans4maz. Hip-hop culture, though, remains a primary focus. He comments, "I feel that there is a lack of positive role models who rap about things that edify the soul. I try and fulfil the great commission which is to go into all of the world and preach the Gospel." When asked about his name he always quotes Romans 10:17, which says, "Faith comes by hearing and by hearing the word of God." It seems that listening to the Lord has been key to his life, right from his mother's decision not to abort him up to his strong faith today. What God wants will always lead the decisions he makes and perhaps Faith Child puts it best himself when he says, "I always pray before I begin to write and whatever I'm drawn to and is dropped in my spirit I just run with it. The Holy Spirit is my inspiration." Joe Tattersall studies multi-media journalism at Bournemouth University.